Companies strive to differentiate themselves in numerous ways. Some do it through their products, some through their supply chains, and some through their processes and systems. But over time, these advantages can diminish or be copied by competitors. 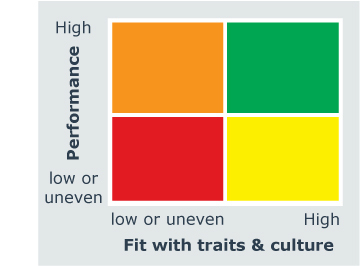 The most effective companies drive an advantage through their people and culture. This paper presents evidence on the importance of a human-resource focus and shares a five-part People Model to help companies select, invest, engage, and retain the right team as well as improve over time by listening to employees. In August 1914, Ernest Shackleton set sail on an adventure. He was leading the Imperial Trans-Antarctic Expedition, which aimed to be the first group to traverse Antarctica. Prior to departing, Shackleton hired his crew. Knowing the importance of having the right people, he posted an unusual ad to find applicants. Over 5,000 applicants were ready to take on this journey. The drive these people had was neither extrinsic nor financial. Their drive came from within.They wanted to be part of something extraordinary. The 27 men who ultimately accompanied Shackleton on his ship, Endurance, encountered many obstacles. The team was challenged to the maximum. While they failed to achieve their original goal, the expedition succeeded in an amazing feat of persistence and teamwork. The team survived due to the unique character and mettle of its members. 3M encourages its employees to spend 15% of their time on passion projects, which we can thank for our beloved Post-It notes. (Google had a similar policy until August 2013.) This creates a unique sense of autonomy, ownership, and entrepreneurship. Being self-directed encourages empowerment. Berlin Packaging is a leading supplier of rigid packaging. The packaging market in North America grows at about 2% per year, but Berlin Packaging has grown at more than six times the market rate for the last two decades. There are many factors contributing to this success, but a focus on people and culture has been central. Described below are some of the ways Berlin Packaging develops and nurtures its culture. More than 20 years ago, Berlin Packaging adopted a set of values that govern the employee-employer relationship.The values are laid out as a T-Chart, which shows the mutual obligations of the company and the employees. On the left side, Berlin Packaging owes its employees six elements, including leadership, career growth options, and rewards. On the right side, employees reciprocate by providing innovation, teamwork, and profitability. These Berlin Values are discussed during employee reviews, day-to-day feedback,and even in exit interviews. The feedback helps the company determine what needs to improve to make the company and employees grow.